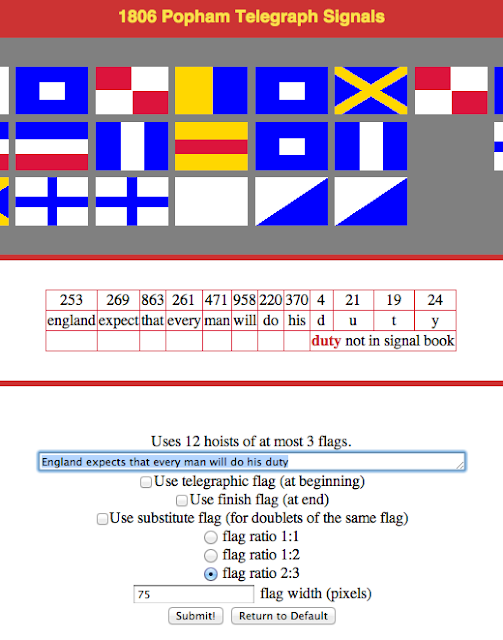 Captain Bertani of HMS Cornwall (74) has written a program that will translate typed text into 1806 Popham Telegraph Signal Flags! Not only can you choose to use the start and finish flags, but you can alter the shape and size of the flags themselves. Thanks to Capt. Bertani for writing this fun program and for pointing it out to me! Is there actually life after Aubrey and Maturin? Can any other novel series fill the void left when Patrick O'Brien so thoughtlessly died before writing another 40 or so novels? Well, no....but as British Tar novel series go Stockwin has come the closest. Stockwin is a real life sailor, a veteran of the Royal Navy, and this shows in his writings. Like Patrick O'Brian, he is fond of long, technical descriptions of sails and sailing maneuvers. Unlike O'Brian he didn't immediately bring his characters to life with brilliant character development, but I can hardly hold that against him, because I've never know another author that good. The series centers on Thomas Kydd and his friend Nicholas Renzi. For the life of me I've never figured out why the two of them became such good friends. Kydd is an impressed commoner, Renzi a gentleman in self imposed exile from aristocratic society. In the first book Kydd is impressed, and I thought "Great! A series about a common sailor!" As it turns out he rises through the ranks at lightning speed and is commanding his own vessel by novel six or seven. I'm currently reading novel nine in the series. Kydd is currently a privateer captain. Renzi is on his way to becoming a spy- picture Stephen Maturin without his endearing naturalist philosopher tendencies. 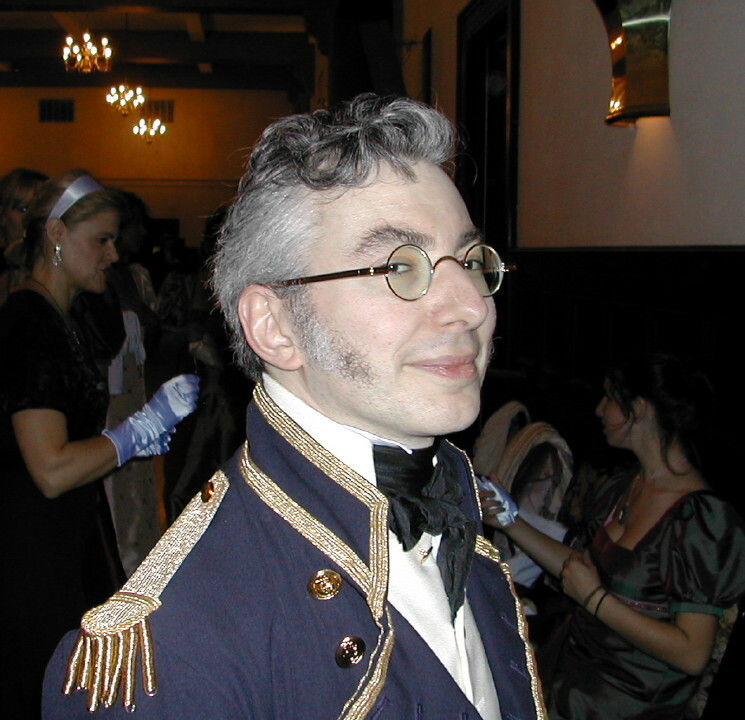 Kydd's character has developed as the series has continued. I may seem overly critical, but I got to admit I've stayed up too late on a work night many times now just to "see how it turns out". Stockwin also is a pretty good hand at bringing his 19th century locations to life. He obviously does his homework. There are a projected 21 titles in the series, number 16 is due out in October. 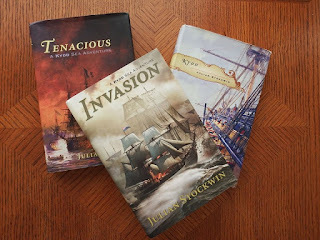 Stockwin seems to be healthy, who knows, maybe he could be convinced to produce another 40 or so novels in this series? So, if you've finished the Aubrey/Maturin series, this is the one you should start next- after a suitable period of mourning of course.